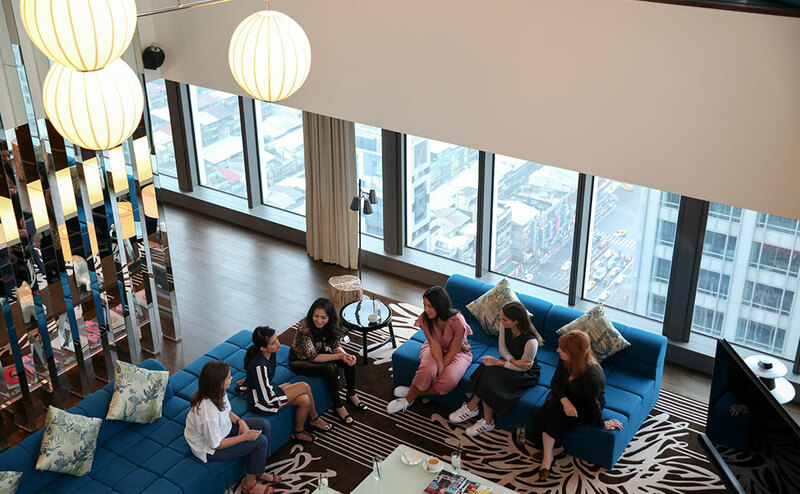 Meet the adventure-ready travelers of The Taipei Exchange, a city tour that finishes with a panel discussion and gala dinner connecting women from the U.S., U.K. and Taiwan, comparing cultures and talking business. 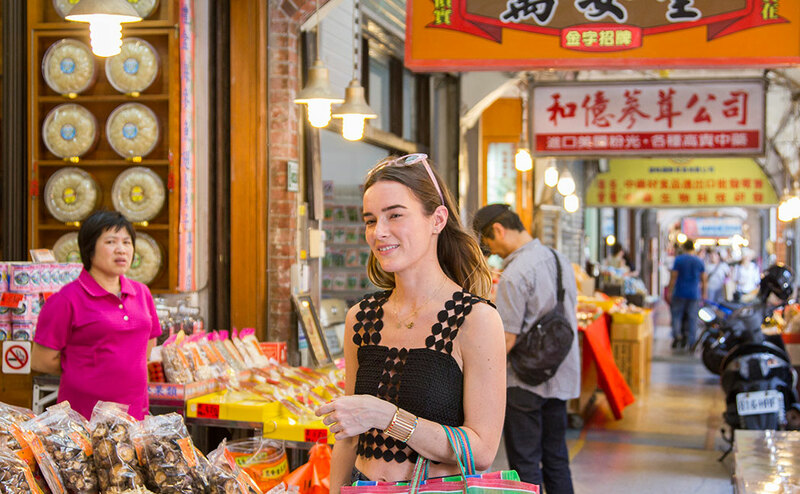 The ladies from SUITCASE Magazine and The Working Women’s Club got to know a group of local influencers while visiting Taipei, named one of the best cities for women to travel alone. 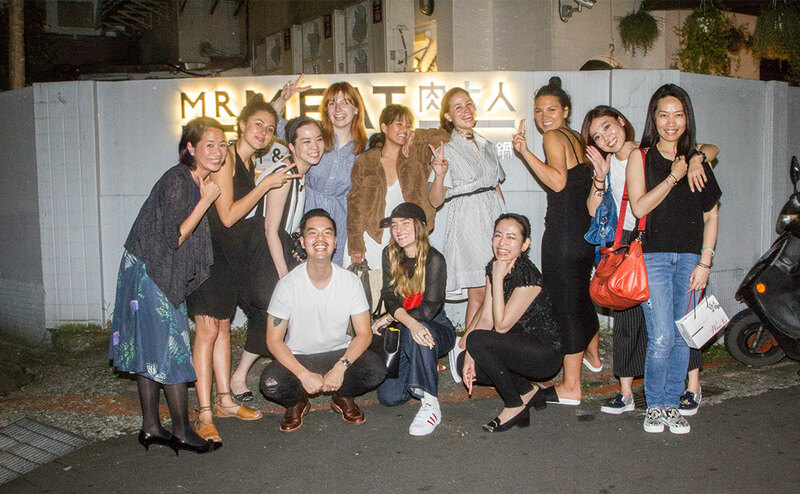 From left: Wina Chen, Alice Levine, Florence Lu, Madeline Poole, Olivia Lopez, Serena Guen, Phoebe Lovatt, Wei Shuan Chang, Leslie Sun, Musee Wu at W Taipei. 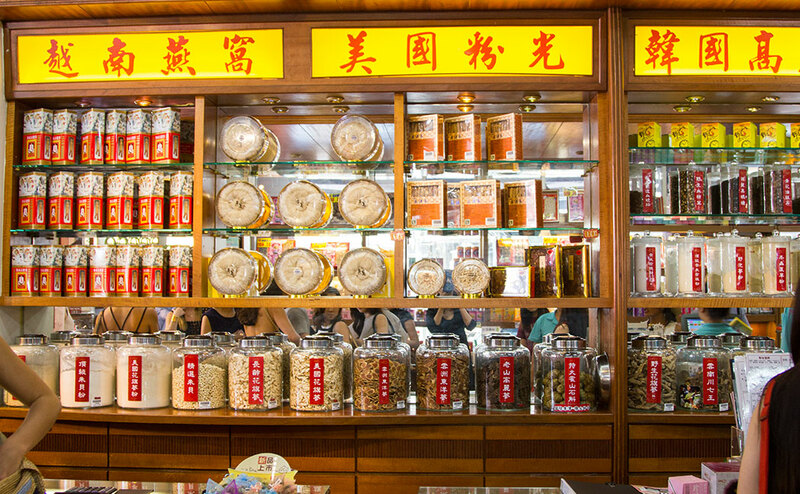 The group traversed Taipei’s historical and modern sights with the guidance of W Insider Sally Pan, indulging in authentic cuisine, trying local beauty treatments, and connecting over their shared love of traveling the world. 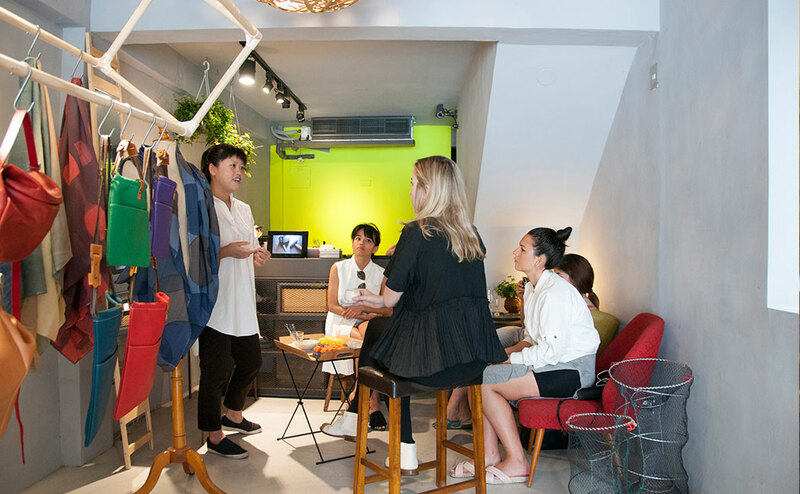 From learning the local tea customs to connecting with designers and business owners around Taipei, the women explored the city like locals. 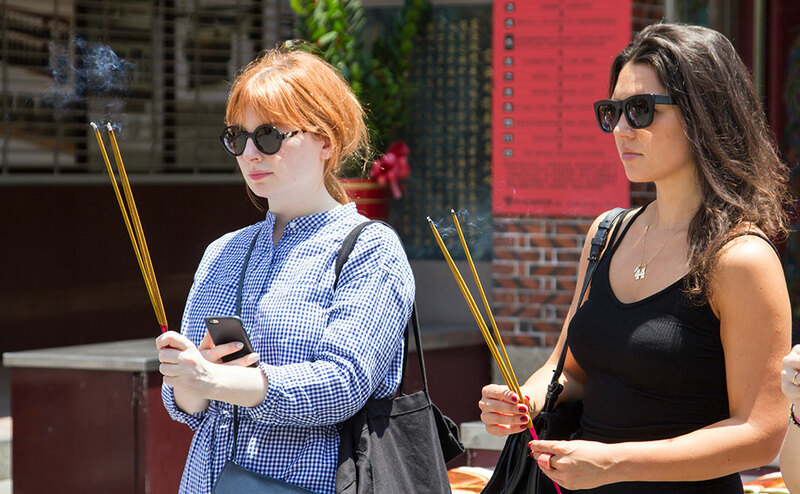 Serena Guen, founder of SUITCASE magazine, partakes in a traditional incense ceremony at Taipei Xia-Hai City God Temple. 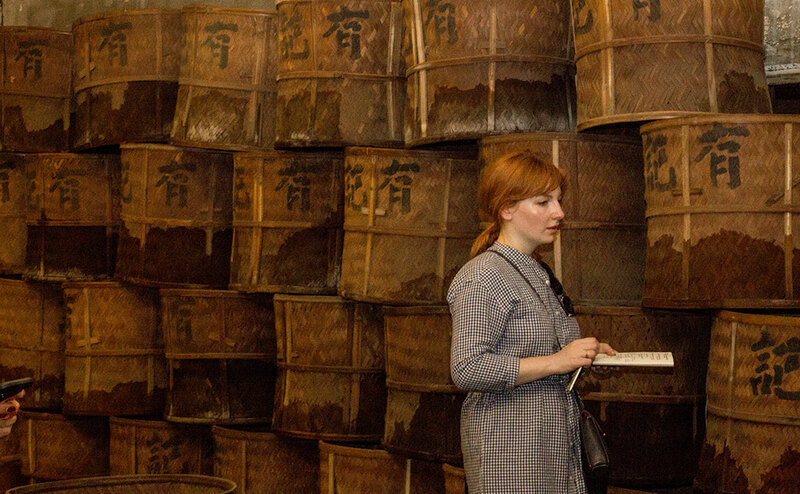 British DJ and entrepreneur Alice Levine explores the traditional tea refinery factory, Wang Tea. Madeline Poole, founder of MP Nails, at a local market. 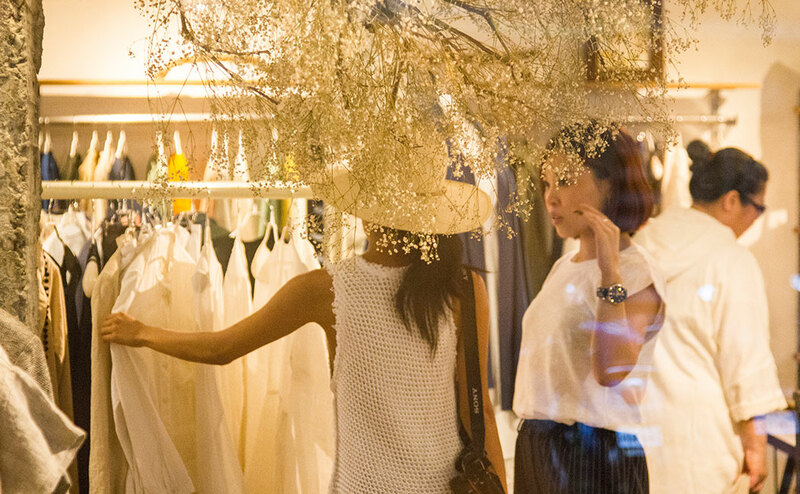 Writer Olivia Lopez and W Insider Sally Pan check out local boutique L’amo Firefly. 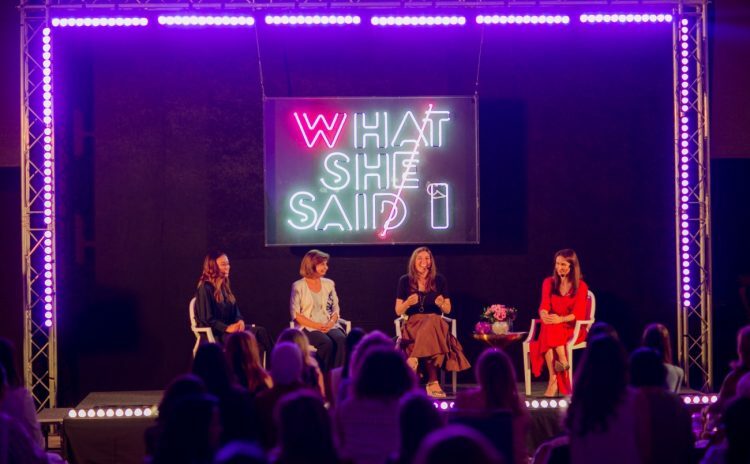 Writer Olivia Lopez and Phoebe Lovatt, founder of The WW Club, explore the burgeoning design scene at Mano. 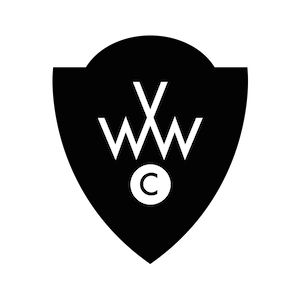 Alice and Phoebe Lovatt, Founder of The WW Club, at the ceremony. 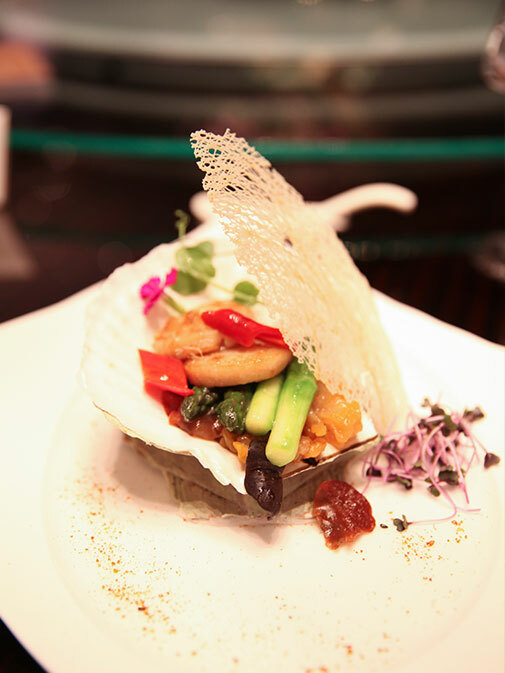 The best way to learn about a culture is to experience it, and lucky for the ladies of The Taipei Exchange, beauty, fitness and food are an essential part of city life. 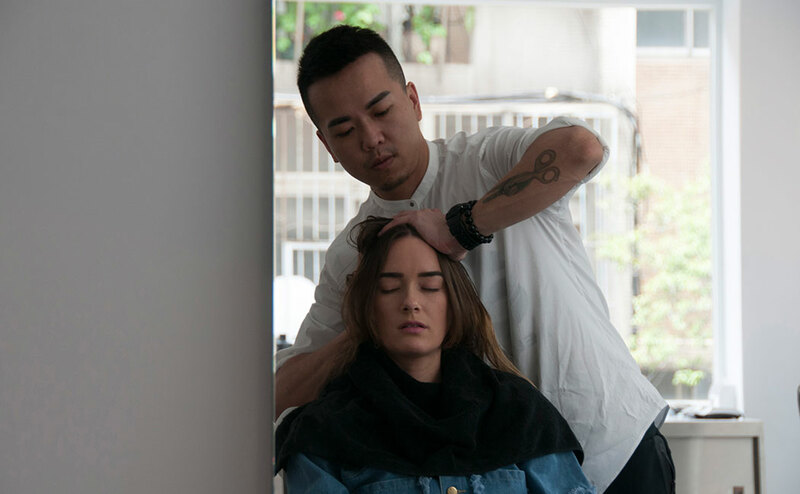 Madeline Poole receiving the hangover cure treatment at Sculptor Barber. 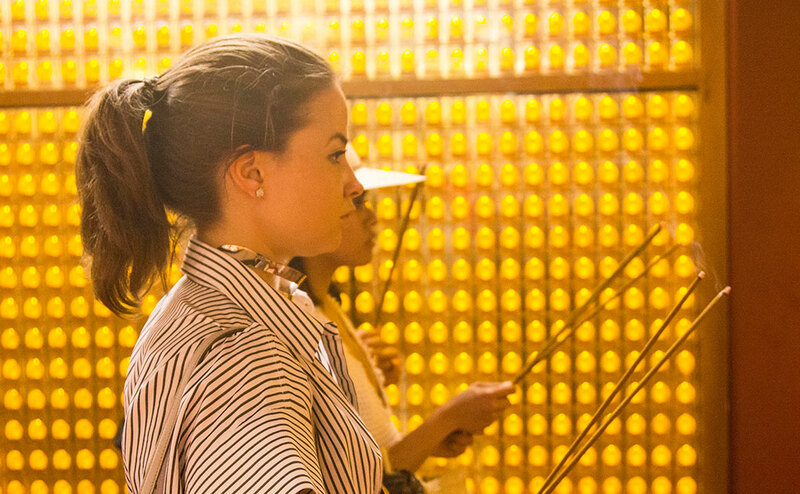 Madeline Poole receiving a nail treatment at Lash Lab. A custom design just for Madeline. 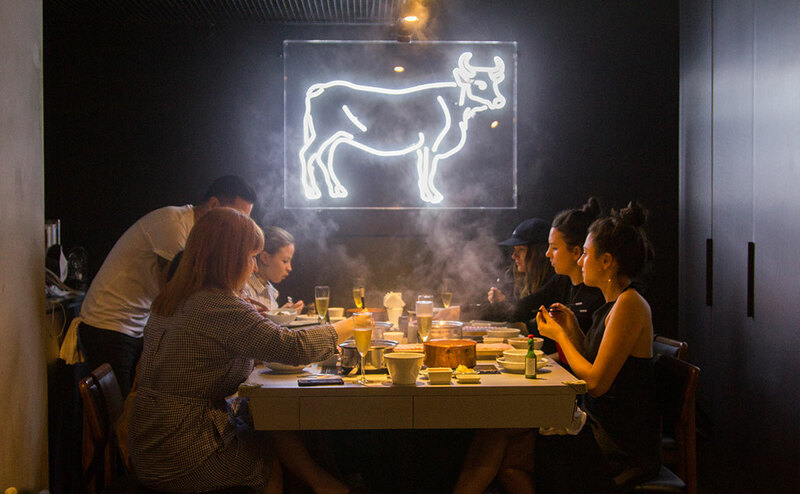 The ladies and Han Chen, the owner of Mr. Meat, at his restaurant. 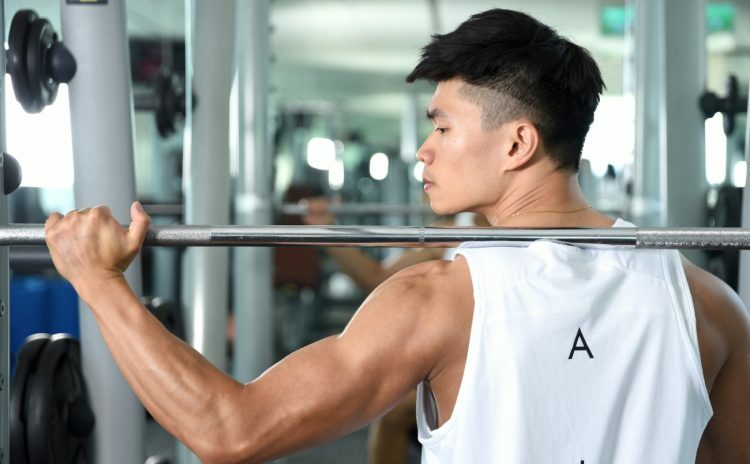 Sweating at a FUEL session at W Taipei. 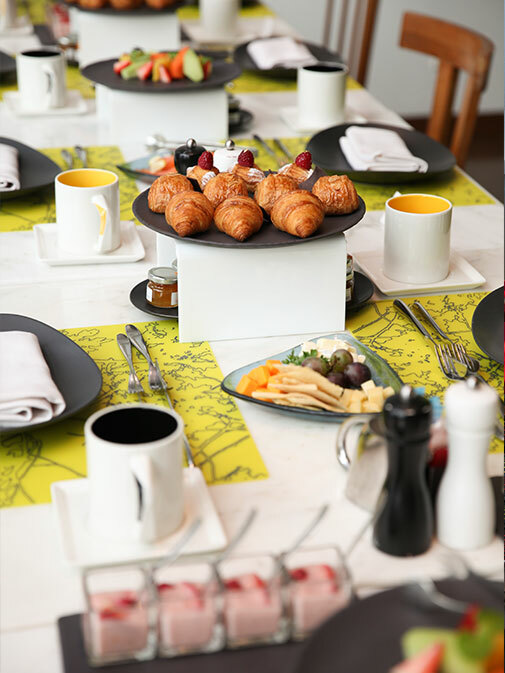 A recharge meal after the workout at W Taipei. Wok fried prawn asparagus with pickled chili at YEN. 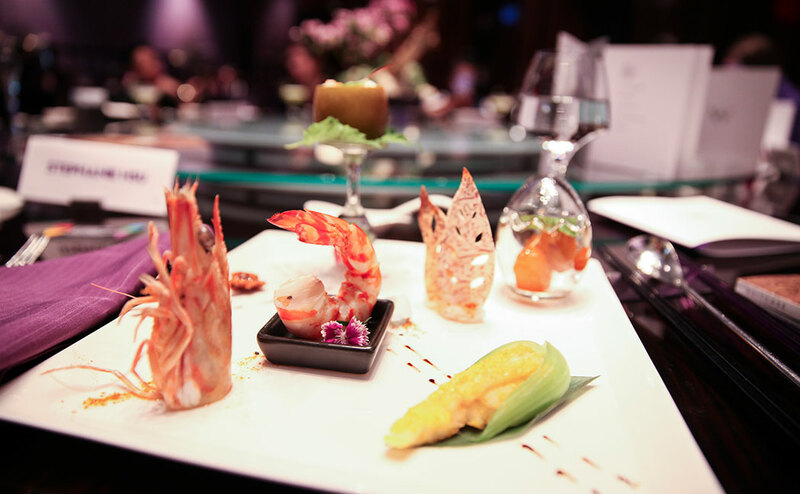 Appetizers at the Taipei Exchange Gala Dinner at YEN. 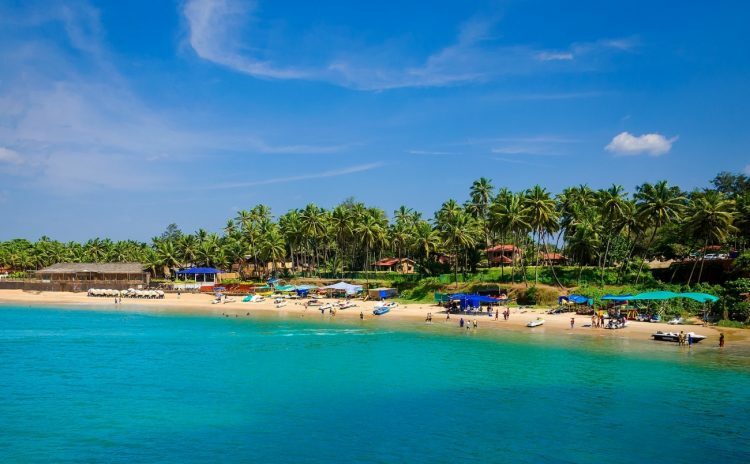 Traveling to another country is all about the people we meet. 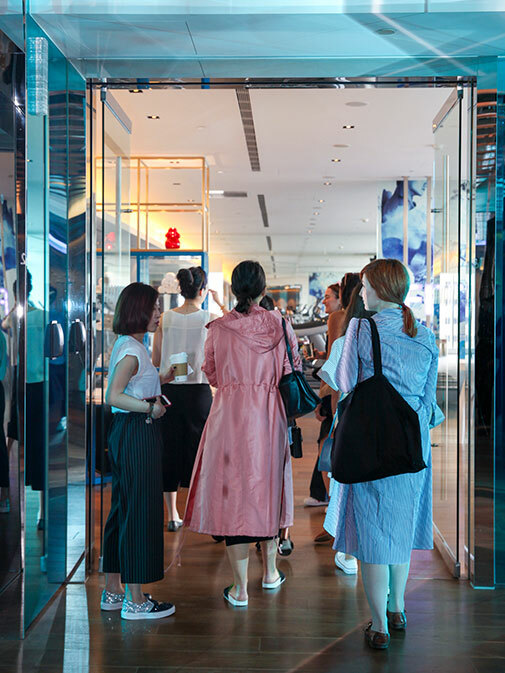 From exploring the city to indulging in the country’s customs to connecting as international working women, it’s no doubt that the dynamic group of women of The Taipei Exchange made new friends and lasting memories. 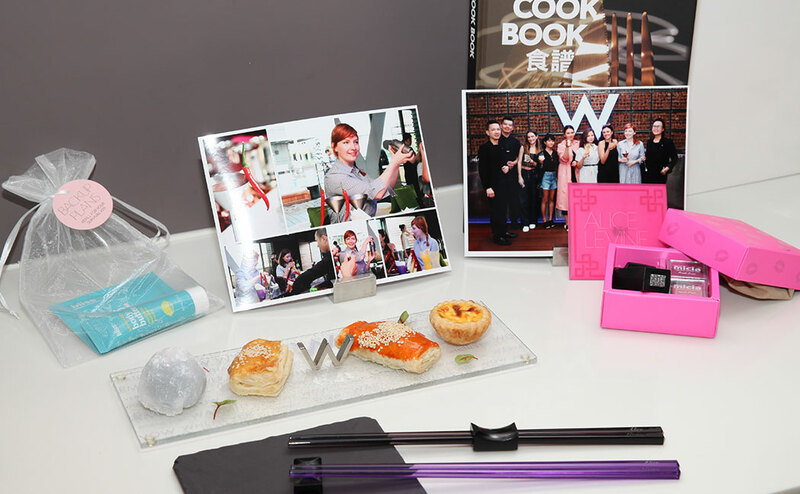 Personalized gifts for the travelers, including engraved chopsticks, Chinese stamps taking the guest's English names and translating them into unique Chinese names, beauty products, a cook book, small Chinese snacks and more. 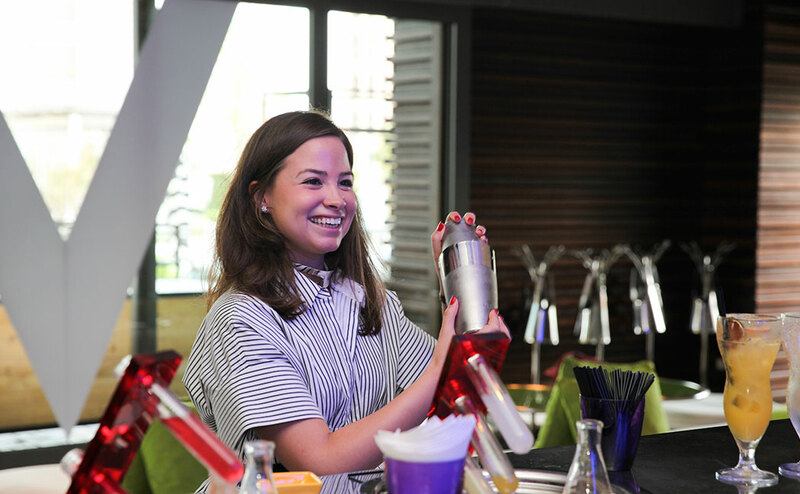 Alice and Serena making cocktails with Ting Chuang (Beverage Manager) Alex Lee (Asst. 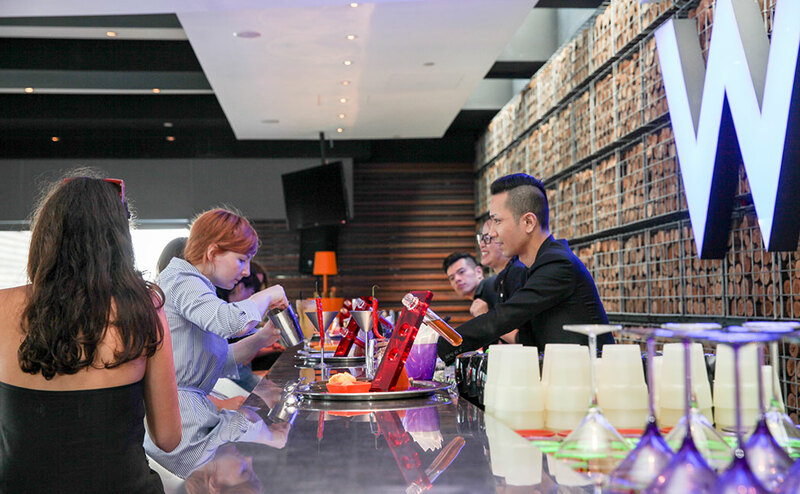 Manager WOOBAR) and Mike Huang (Mixologist). 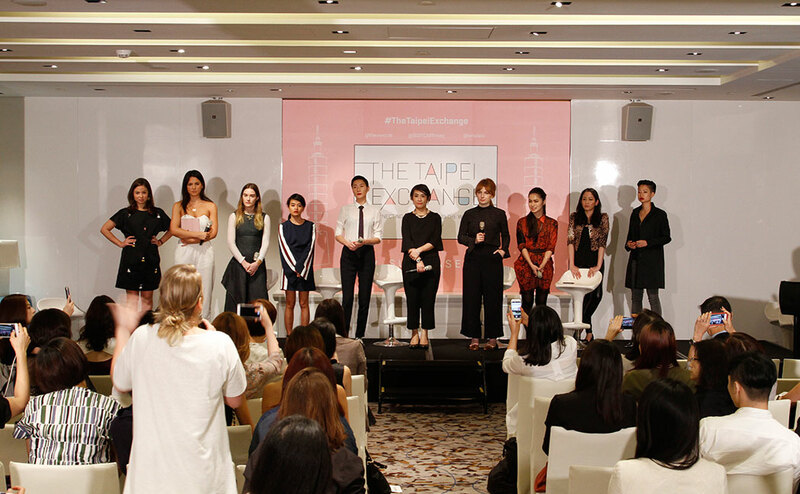 SUITCASE Magazine and The WW Club discussing women and travel at W Taipei. 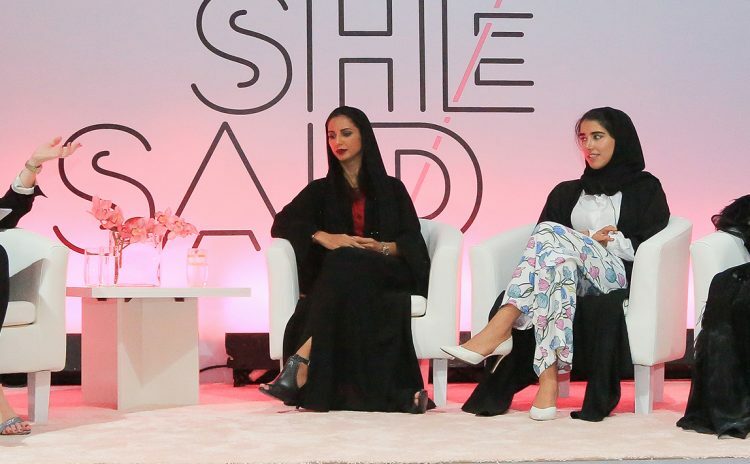 The ladies taking questions at the panel discussion. Selfies at the Taipei Exchange panel discussion. 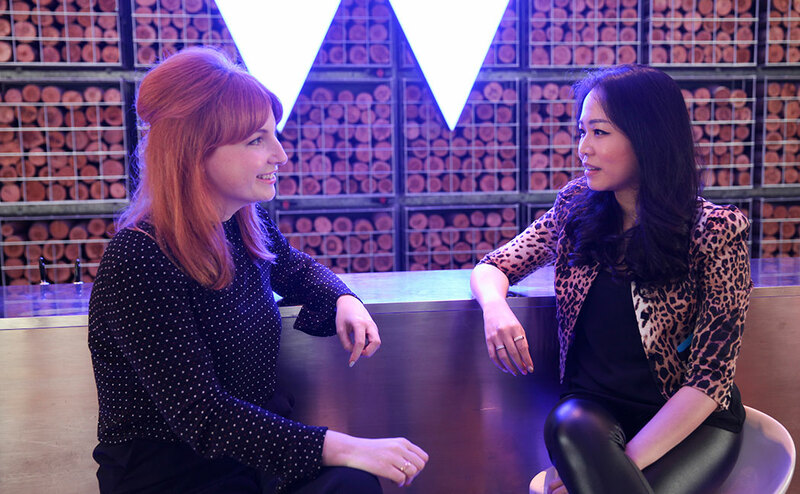 One-on-one time with Alice and Wina Chen, Operational Excellence Director at W Taipei. Want more? 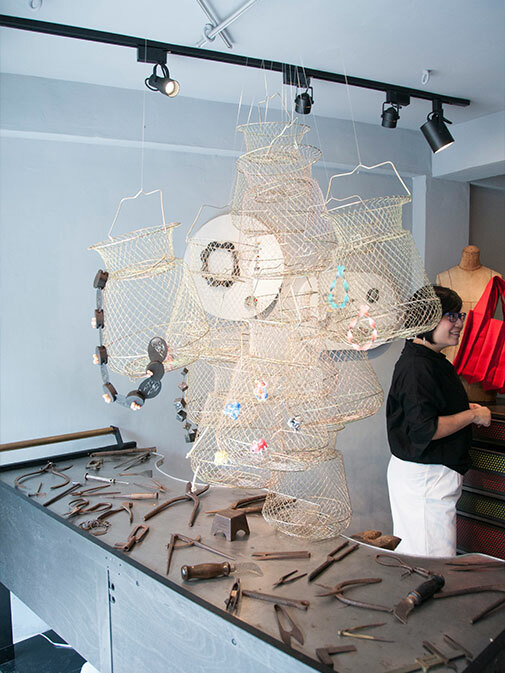 Get a first-hand account of the unforgettable Taipei Exchange experience with an intimate travel diary from SUITCASE Magazine’s creator, Serena Guen.